Heart 2 Heart Holistic Pet Healthcare Online Courses. Give your pet the healthy, happy, life they’ve always deserved. Essential Point Therapy | The Holistic Pathway to Health and Wellbeing for Your Pet featured here. Give your pet the healthy, happy, life they’ve always deserved. It is time to put healing back in your pet's healthcare, and it starts with the Heart 2 Heart Holistic Community. Customized 1-on-1 guidance delivered on your schedule.You can get 1-on-1 customized guidance on your pet’s health no matter where you live. Schedule three appointments and save $65. Call 509-214-2676 today. Are you looking for natural supplements for your pets? Here is a list of supplements that I recommend, with links to purchase them. These are animal supplements and dosages will be on the bottle. 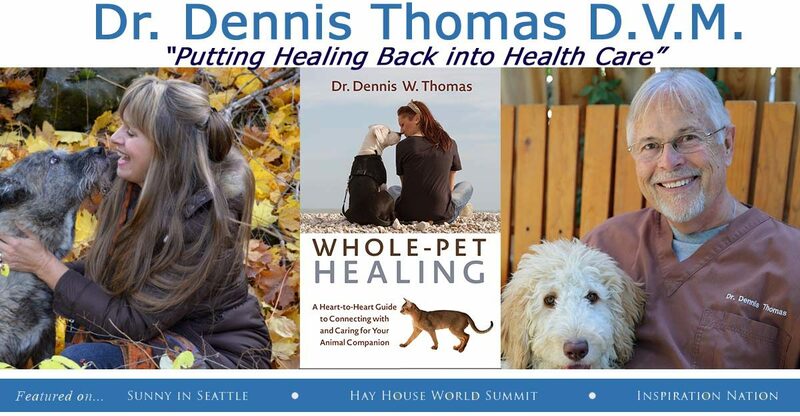 I’m Dr. Dennis Thomas, author of Whole Pet Healing: A Heart-To-Heart Guide to Connecting with and Caring For your Animal Companion and I am putting healing back into healthcare. You love your pet, don’t you? In fact, they are more than a pet to you. They are a member of your family, a constant companion, someone who brightens a dark and dreary day. So, you want to take care of them. You want them to live a long, healthy, and happy life. You want to share early mornings curled up on the couch with your pet on your lap and long walks through the woods with them. Unfortunately, if you are like most pet caretakers, you get just the opposite. Behavior problems, chronic conditions, debilitating allergies, and terrible diseases like cancer, diabetes, kidney disease, obesity, and so many others. With these problems come endless pills, invasive (and dangerous) procedures, treatments that do as more harm than good, and often death. After two decades of being stuck in the quagmire of conventional western medicine, I began to search for better options for my many patients. Eventually, I turned to traditional Chinese Veterinary Medicine, veterinary acupuncture, and Chinese herbal remedies and began to see miracles happen. Paralyzed dogs miraculously began walking again, cats with the death sentence of kidney disease were healed, and thousands of pets have gotten a new lease on life-with many living 3, 4, or even 5 years longer than any conventional veterinarian predicted. First, sign up for my mailing list. There, you will begin to receive daily tips, tricks, and secrets to keep your pet healthy, happy, and well. Next, schedule a phone consultation with me today. Let’s start bringing health back into your pet’s healthcare. 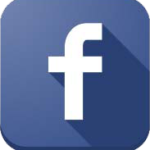 ” Dr. Thomas is extremely knowledgeable, gentle and kind. The whole family is learning a new approach to health as we have watched Abbey’s progress.” -Nancy W.
Dr. Thomas has taken the best practices from both the east and the west to develop his own unique brand of veterinary care that is second to none. He has outlined this approach in his 2015 book Whole Pet Healing. Through 1-on-1 consulting calls with clients all over the world, Dr. Thomas tailors his approach to the unique needs of each individual pet. Believing that every pet’s natural state of being is perfect health, Dr. Thomas works to restore and maintain the pet’s energetic balance and natural state of being via the least invasive and most effective treatments available. Are you looking for better veterinary care? Do you want to unlock the best life possible for your pet? Get started with Dr. Thomas today.